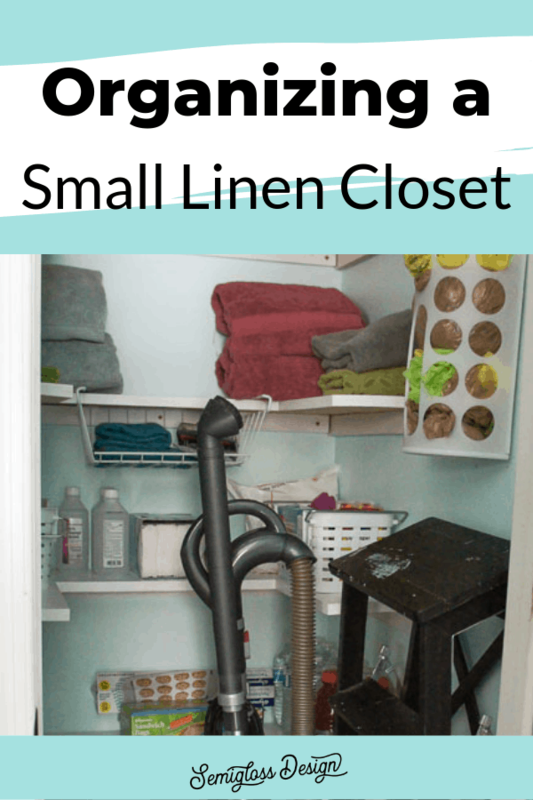 Today I’m sharing some practical linen closet ideas. I’m thrilled with how well my linen closet is looking and functioning after I konmari’d it! It feels so good to know where everything is when my kids ask. 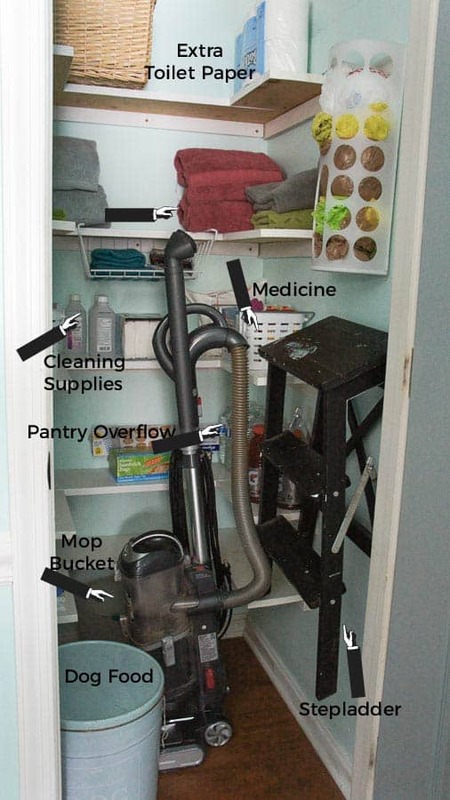 No more searching for the mop bucket. 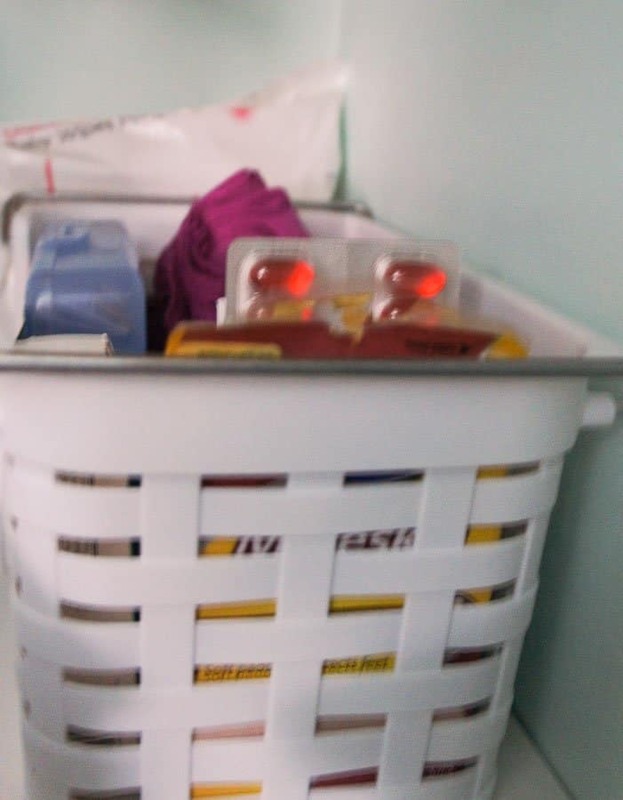 No more digging through baskets for the advil. Now, I can find everything so easily! Unlike most reveals, I only concentrated on the organizing part, using systems that were already in place. 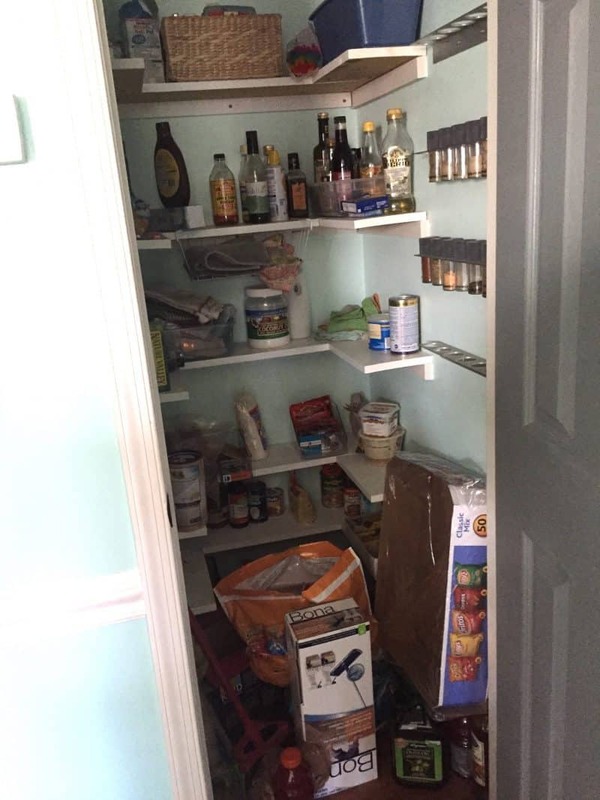 A few years ago, I painted this closet and added shelving so that I could use it as a pantry. (The pantry is now in the kitchen.) Sure it could stand to be repainted, but that wasn’t the purpose of this project. 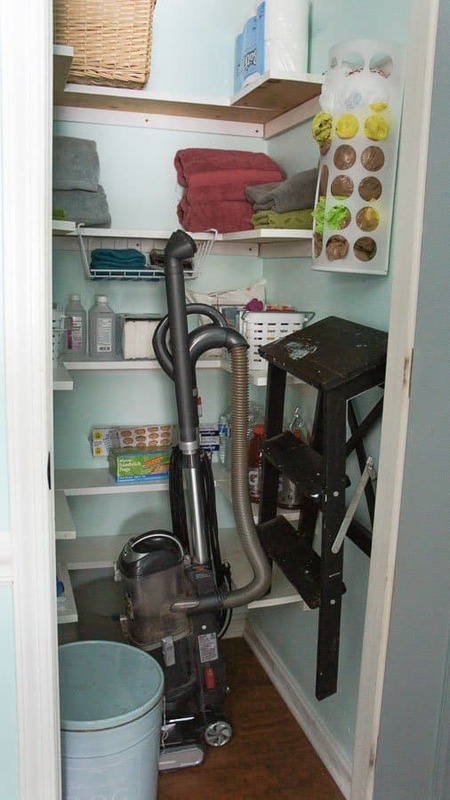 Before I got started, I spent a lot of time thinking about how I need this closet to function. Your list might look different. Like I said, I used the konmari method to get rid of stuff. And while cleaning stuff doesn’t spark joy per se, having it all organized does. By the way, I keep the bed linens in each bedroom. No one shares bedding in our house, so this makes sense for our family. Plus we have plenty of room in our closets on the top shelf. 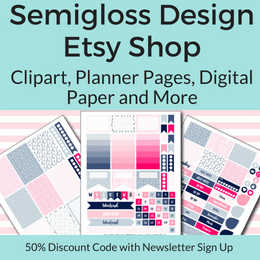 Looking to Simplify the Decluttering Process? Remove every thing from your closet. The mess is worth it, trust me! Only put things back that you’re keeping. Donate what you can and throw away the rest. 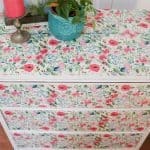 If you’re unsure about an item, put it to the side. 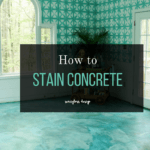 By the end of the process, you will most likely want to get rid of it. 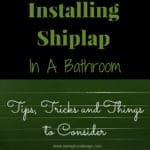 The remaining stuff should fit with plenty of room to spare. While you work, take mental notes on things that you need to replace. There’s no need to rush out and buy it now, but it’s nice to know that you should keep your eye open for good deals on new towels for instance. If you store medicines in your closet like I do, keep them up high if you have small kids. My kids are older and understand the risks. Speaking of medicine, go through them and get rid of old prescriptions and expired meds. It’s surprising how fast they expire! Take notes of what you need to replace. It’s also a good chance to see what you buy too much of. 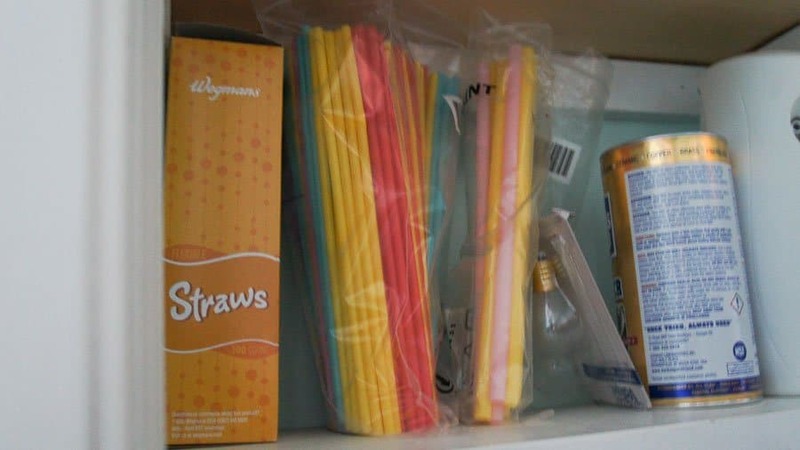 Straws, I’m looking at you. 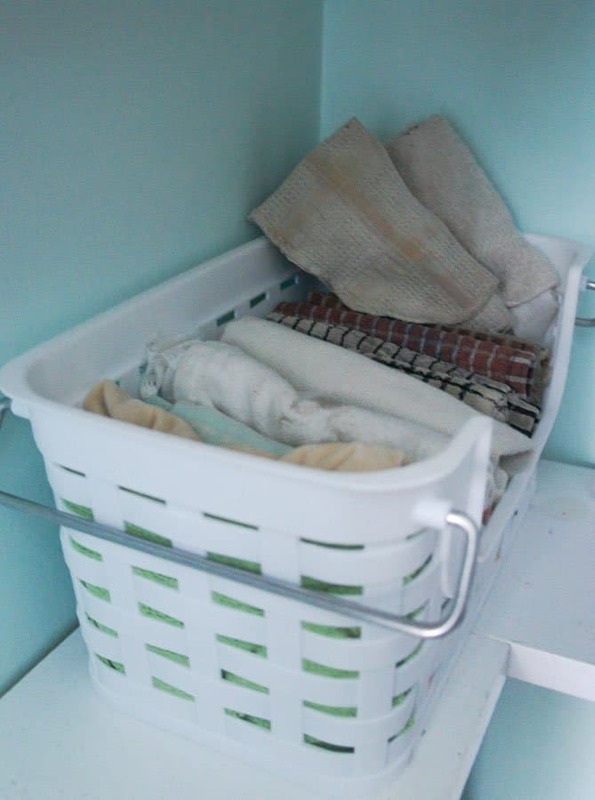 If you have tons of cleaning rags, store them in a basket. 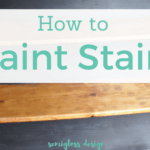 I use a ton of rags for cleaning furniture. Matching baskets look nice together. They don’t have to be expensive. These were $5 each at the grocery store. Plastic is nice because if liquid medicine spills, it can be wiped clean. 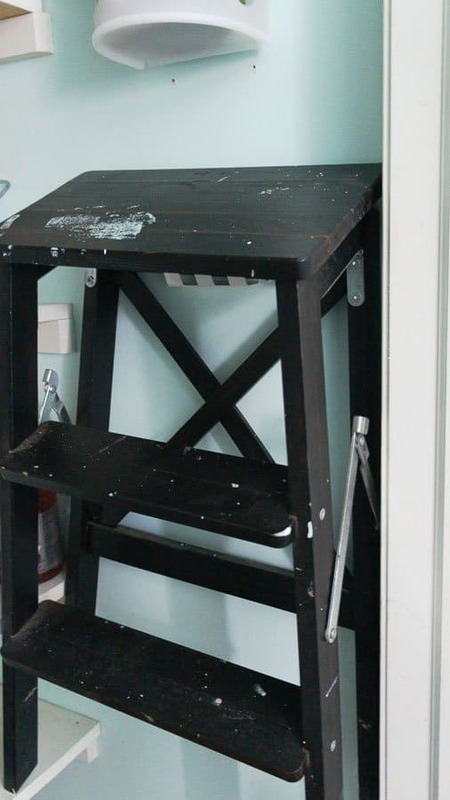 We hung the stepladder on the wall. As you can see, it is well loved, so it needs to be accessible. 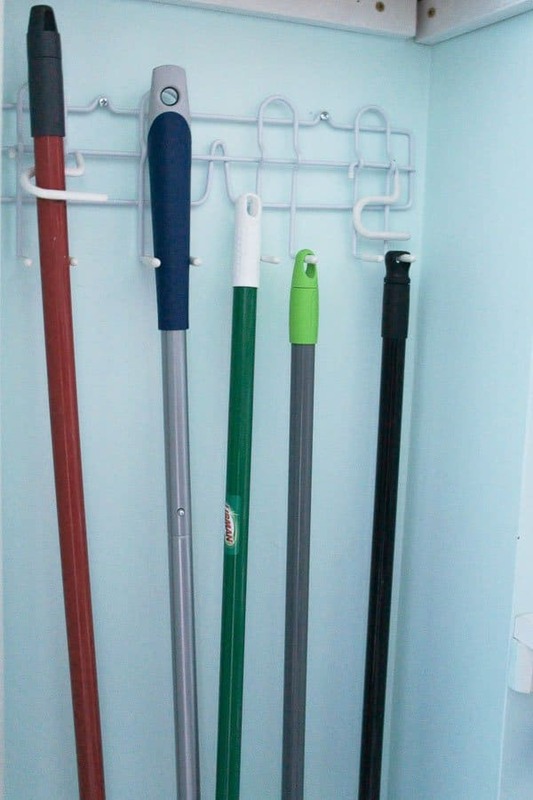 A broom holder is great for corralling all of your long handled cleaning supplies. 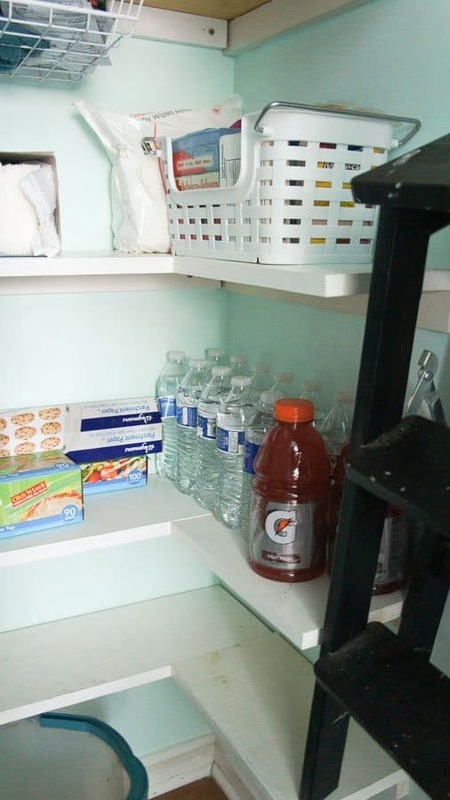 There’s plenty of space for pantry overflow of less used items, like water bottle and extra sandwich bags. 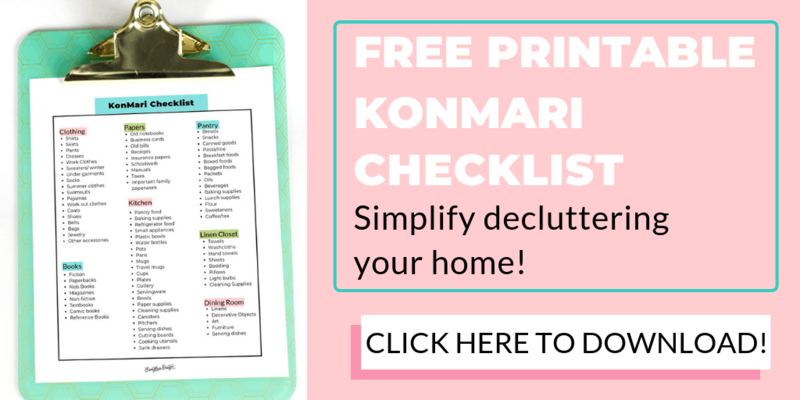 Simplify decluttering with a free printable checklist!